Tanzanites belong to the group named zoisites and was originally discovered in 1805 in Corinthia, Austria. However, zoisites of gemstone quality have only been available since the late 1960s. The tanzanite is named after its country of origin, Tanzania. Its colour is blue, the spectrum of which ranges from a deep, dark blue to a bright, violet-blue tone with greenish-yellow and purple red nuances. An exact description of its colour is virtually impossible due to its inherent pleochroism (trichroic) as the intensity of the individual colours is strongly dependent on the angle of observation. 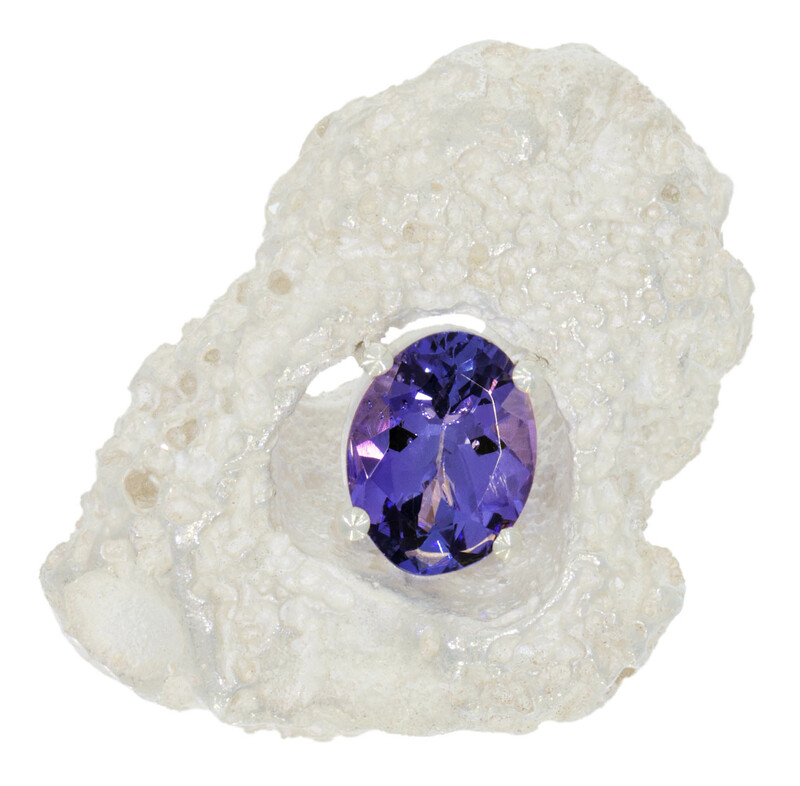 Most tanzanites are heat treated at approx. 450°C to create their unique distinctive colour tone. Untreated specimens, however, have a higher level of pleochroism and usually contain a higher green proportion. There is only one small region measuring just a few square kilometres where there are deposits of high quality gems and that is in the border region between Kenya and Tanzania. Tanzanites are a thousand times rarer than diamonds and due to its scarce supply its popularity is extremely high. Further varieties of zoisites are the opaque, red thulite and the green anyolite.